With nine restaurants offering a varied array of fine cuisine, Paradise Village is heaven for the food lover. Choose from the freshest seafood from Banderas Bay one day, or familiar North American cuisine the next. There is a restaurant to suit almost every taste… International, Seafood, Mexican, Italian, Mediterranean, North American, Health and more. Find out why it’s so easy to get hooked on the tastes of Paradise! 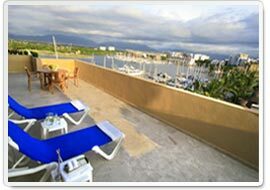 Great all day service overlooking the ocean and marina. Natural Foods and shakes for healthy minds and bodies. _Once you have experienced the pleasures of Paradise Village, it's only natural to begin thinking of ways of turning your vacation into the dream of a life time. Perhaps you find pleasure in a luxurious penthouse suite by the beach, a spacious condominium overlooking yachts in a shining marina, or an exclusive villa on the apron of a world-class all inclusive hotels vacations in vallarta mexico course. _At Paradise Village the options for ownership are designed to meet your needs and the various stages of your life. We offer deeded, whole ownership properties, fractional ownership properties and vacation membership opportunities. Start modestly and upgrade over time, or go for it all. Whether you want retire, enjoy life year 'round or just get away once in awhile, there's an exciting lifestyle option for you. _Whatever shape your dreams take, an investment in Paradise Village will secure the ultimate vacation retreat for you and your family... in a luxurious, master planned community with all the comforts, recreation and lifestyle opportunities usually reserved for the affluent. * One-way transportation from the airport to the hotel for 2 passengers. Retirement in Mexico represents a wonderful opportunity to experience your golden years on the golden shores in one of the most sought-after destinations for US retirees in the world. Mexico offers the kind of experience you may never have had: the chance to live abroad in an easy, comfortable environment with many options to interact with new people in an alluring place. The availability of five star Mexico Retirement Homes offers a large variety of real estate and investment opportunities; single family homes, multi-family units, condominiums, town homes, commercial real estate, year round, and vacation homes. 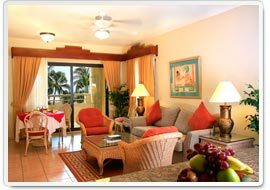 banderas bay Retirement Homes are located in a quaint area, which will begin to feel vast once you've settled your roots. With the ever changing culture in the riviera nayarit Retirement Homes, housing will always be in demand.